It even has protein (0.6 grams in a lemon weighing about 58 grams, excluding the rind), a little fat (0.2 grams) and some carbohydrates (5.4 grams, of which 1.6 grams of fibre), but very few calories. 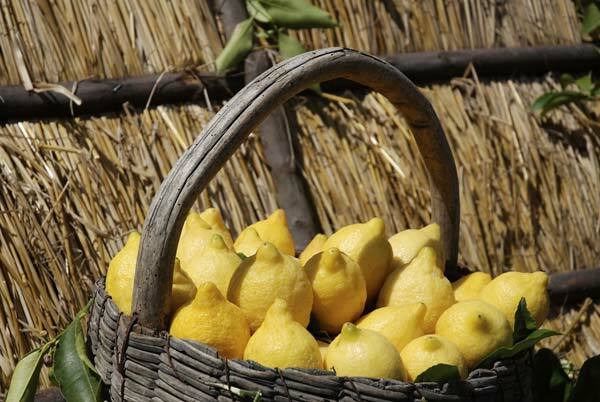 30 ml of lemon juice has hardly more than 7 Kcalories. Hence it is excellent for low-calorie diets! It also has many medicinal properties. Do you wish to discover them? the use of lemon is also seemingly associated with other effects, such as reducing the risk of strokes, especially in women. According to the American Heart Association women who consume this citrus fruit may reduce their risk of experiencing this grave vascular event by as much as 19%. it can help combat asthma. Vitamin C is in fact one of the nutrients associated with reducing the risk of this illness. lemon also improves absorption of the iron contained in other foods (in this regard, try our new recipe for steamed codfish with spinach and lemon. This action is particularly useful with regard to foods of vegetable origin, where iron is in a form comparatively less absorbable than in foods of animal origin. it helps stabilize the body’s weight, as reported by many scientific studies according to which lemon may not only help combat obesity, but diabetes as well. lemon is a mood-booster: its fragrance is known to relieve anxiety and depression. So why wait? As part of a daily diet, lemon is not only delicious, but a precious ally for our health. Go ahead; add lemon to any juice and beverage, or as the main ingredient of fresh-squeezed juices. Limmi is THE juice made from the very best Sicilian lemons, carefully selected to ensure all the fragrance and scent of this precious citrus fruit are always within your reach. People with acid reflux or ulcers are cautioned not to suddenly add large quantities of lemon to their diet. If you have a gastric condition, it is always best to consult your doctor first.